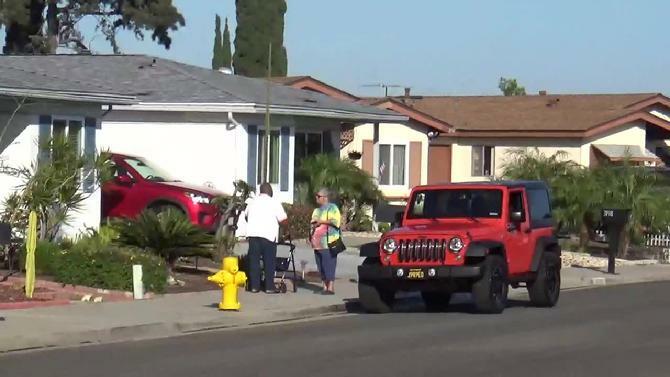 In our Neighborhoods, our Corrupt Gang Stalking Government/Intel Agencies set up a Program of UNREMITTING HARASSMENT using Neighborhood Watch Groups. They abuse their authority by misusing technology to track their targets every movement - including inside their own homes. 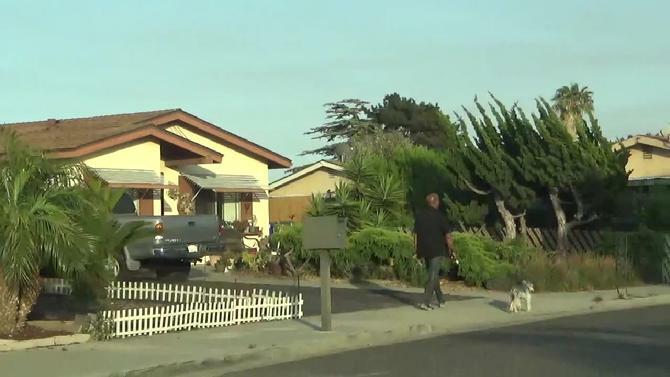 I'm Gang Stalked on my entries and exits from my home, my street, as I go onto Buena Hills to exit my development, and when I exit my development. I'm Gang Stalked when I go to retrieve a UPS package. There is often BEEPING to harass when I go into the back or the front of my house, when I go into my yard. They also use siren sounds as Anchors and have Drones (or some other such things), at first, permanently stationed in the front of my house and now, permanently stationed in the back of my house, which can be seen at night. 2. And since the dynamics of the Stalking have become so widely known - Gaslighting - https://en.wikipedia.org/wiki/Gaslighting. 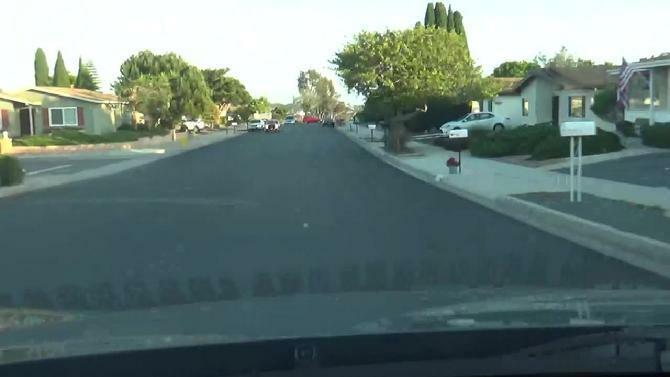 Government Gang Stalking Pattern: As I turn into my development in coming home and start to go up Buena Hills, one car comes down it - a RED one. Normally, when I go to retrieve a UPS package from my front door - I am Gang Stalked. When I publicize a Gang Stalking pattern - it morphs into something else. Today when I got up - which is when I check for UPS packages - opened the sliding door to my dining room, where I keep my camcorder to take when I retrieve the packages - the orange phone button was flickering that I was receiving a call at that minute. This is what the orchestrators of this sadistic, depraved Government Gang Stalking Program do. Drones/satellites (not sure which but they are visible at night) over my home to track my every movement - including when I get up - inside my own home - most probably play a big role in my Gang Stalking. 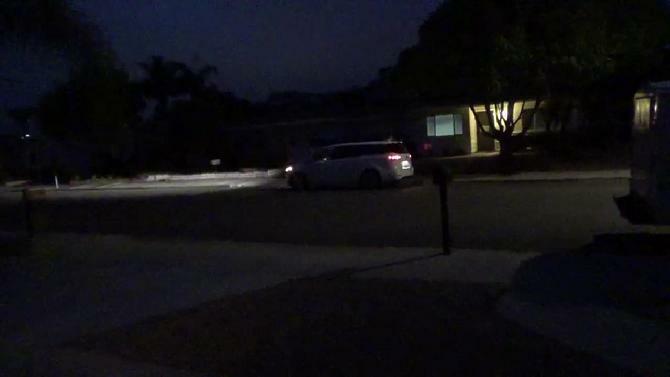 If I take pictures of the Gang Stalkers when I go to retrieve a UPS package, they just switch to "calling" me at the exact time I get up and go into my dining room to retrieve the camcorder I take when I open my front door to retrieve the package. My phone is always "off"/just taking messages, because of harassment from gang stalkers, which includes the people they have call saying they are Gang Stalking targets who they use to try to ingratiate themselves with me to "set me up to commit a crime" - one of the FBI's favorite preoccupations. The leader of one of their disinformation groups posing as a Gang Stalking support group tried to get me to buy a stun gun. 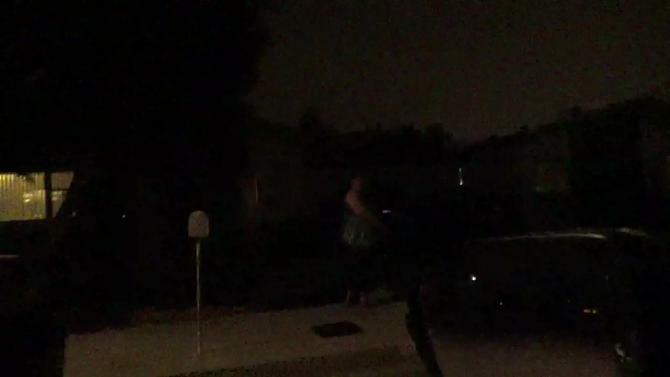 As I arrive home at 12:05 AM, a woman comes out of 3190 Coral Drive. Here I am backing out of my driveway. The only people I see on the street are across from me. Here I am exiting my street - going onto Mira Pacific Drive. 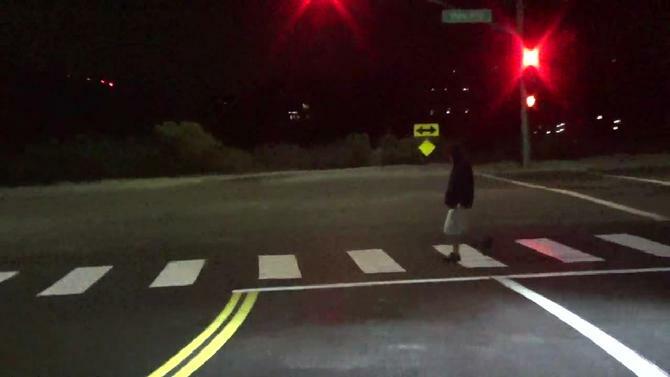 The only person I see on Mira Pacific Drive is here at the corner (one of the places I'm Gang Stalked as I leave my development). 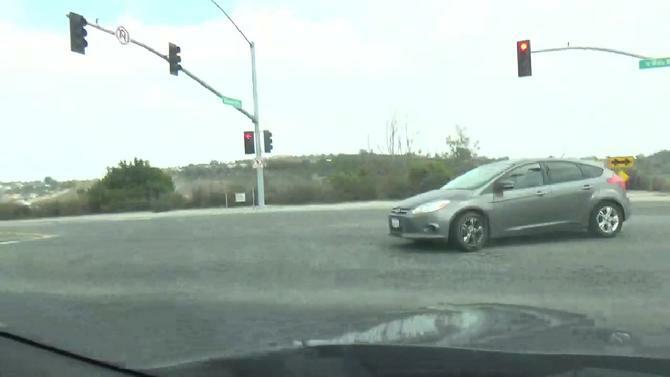 See any "Anchors" as I go down Buena Hills to exit my development? They'll often have a Gang Stalker there as I leave my driveway. They'll often have a Gang Stalker there as I go to exit my street. I go into the kitchen (in the front of the house) at about 5:50 AM. 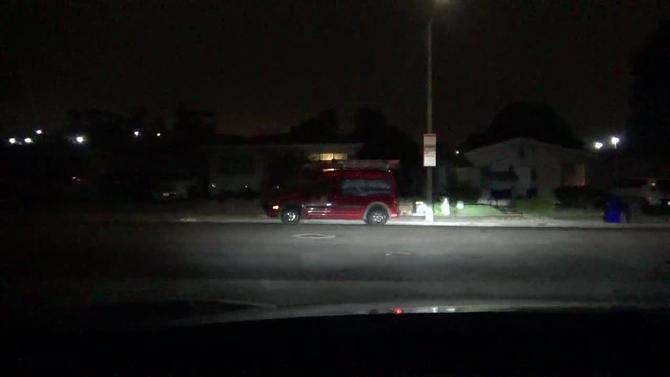 A Siren Sound/Anchor comes from one of my Gang Stalking neighbors outside. It lasts about five seconds. Then stops for a few seconds. Then is played for about five seconds more. These are the Sadistic Animals our COINTELPRO-loving Intelligence Agencies have created. Vote the Democrats out of office who have embraced COINTELPRO Comey, Mass Surveillance Clapper and Brennan who had the audacity to spy on Feinstein's Senate Intelligence Committee. there as I exit my driveway. 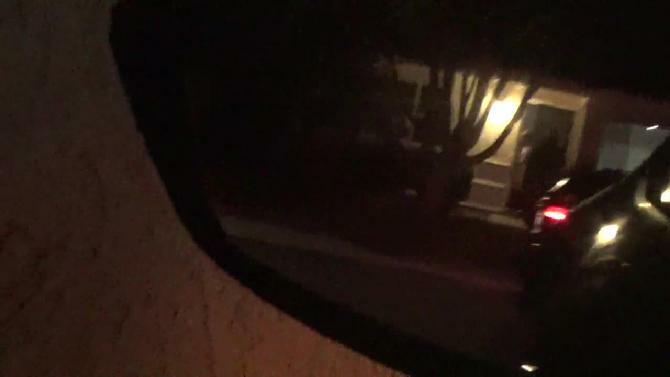 As I exit my driveway at about 10:05 PM someone is across the street. Amazon tells me they sent me the 4 mats (I put them on the walls where my profoundly mentally handicapped brother sometimes bangs his head) I ordered. But when I go to take them in - there are just three. Who took the fourth one? Or can drivers who deliver things be persuaded to not deliver a whole order? This is not the first time items are not delivered or I receive an empty package or things I ordered expedited show up weeks later. I received half an order from a driver wearing RED from DoorDash. From Grubhub, I couldn't get them to deliver any food at all. As I take a bath early in the morning, ever so softly, the Government Gang Stalkers play a Siren/Anchor. 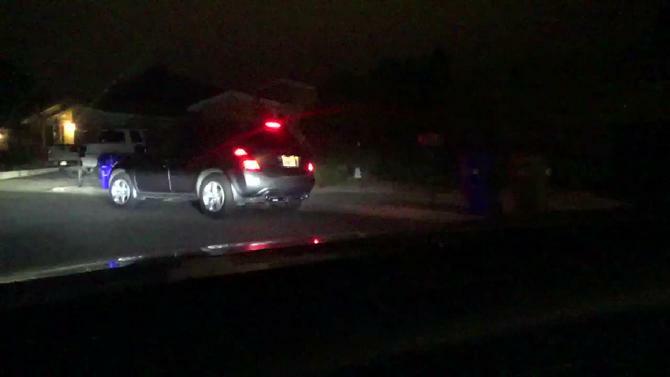 Government Gang Stalking Pattern: I'm regularly Gang Stalked as I go to exit my development at the bottom of Buena Hills. 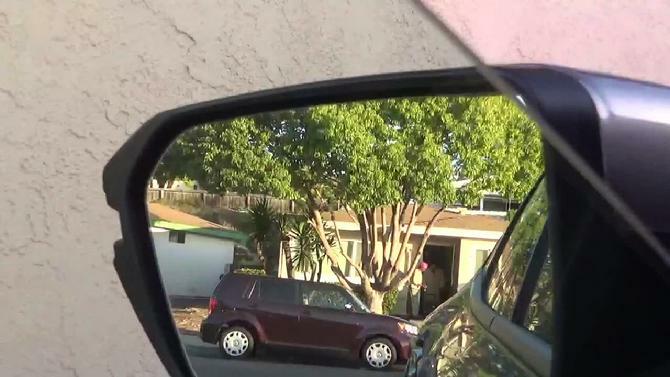 Here I'm taking a picture of what I see as I go out to take in my garbage cans, because the U.S. Government Gang Stalking (a PSY-OPS Program) Pattern is to have Gang Stalkers there on the entries and exits from your home. They use Neighbors and People in the Neighborhood To Gang Stalk. 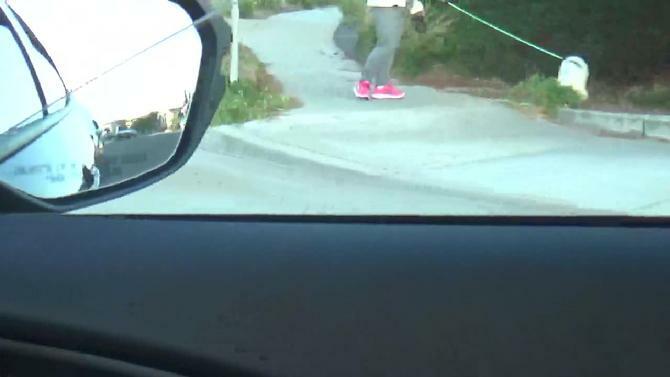 I go outside to take in my dog and a Government Gang Stalker from Mira Pacific Drive - BEEPS. How Does Our Gang Stalking U.S. Government/Intel Agencies Keep Track of Your Every Move? Up in the sky in the back of my house (it used to be in the front) - visible at night - is this thing - a drone, perhaps, or something else I do not know the name of. Took me a while to get this in focus with my camcorder. On the video I say it is in the front of the house (it was). After I posted that it went in the back of my house - weeks ago. The last two times I opened my back sliding door to go out into my backyard, 3189 Coral Drive almost simultaneously opened their back door. 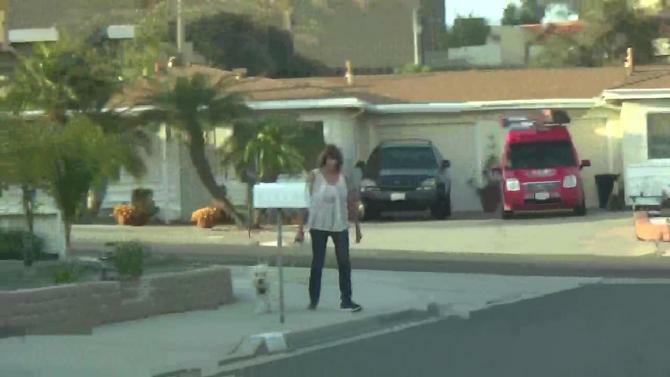 When I pull out of my driveway to go out for our evening walk, the woman from 3190 Coral Drive is there. 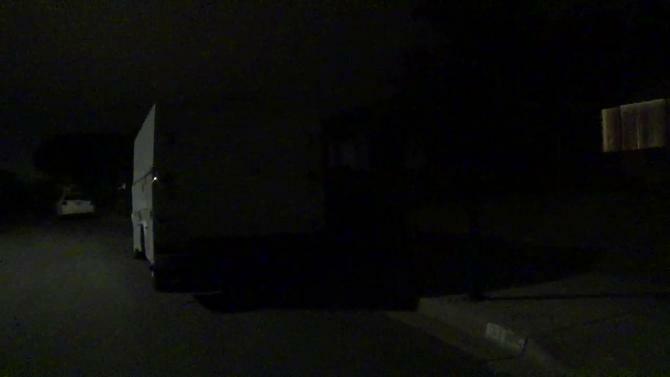 5:07 AM I go out to throw away some garbage and a van stands in the road across the street. 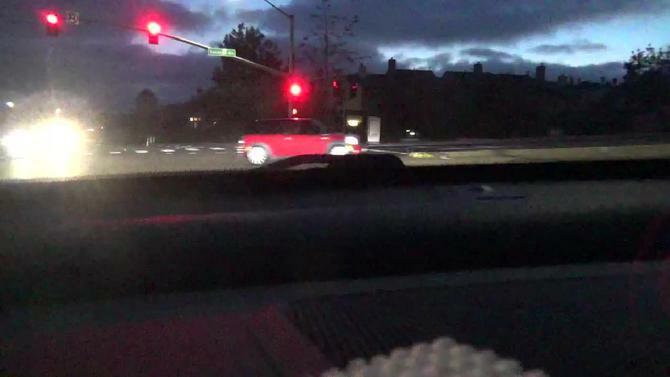 The Gang Stalking Pattern is to have a car come around the corner or a person walk in front of us when we go to exit our development. 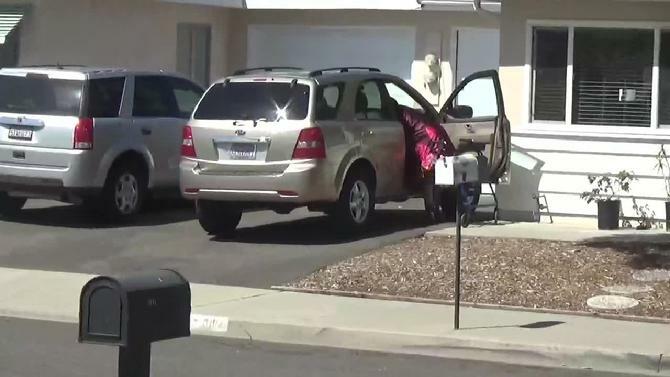 As I go to check to see if a UPS package arrived, a woman at 3184 Coral Drive stands with her head in a vehicle across the street. The Government Gang Stalking Pattern - in our mostly empty development - is I go to the corner to exit my street and someone is there. The Government Gang Stalking Pattern is: I go to exit my development and a person walks in front of me or a car comes around the corner. Part of the Program of UNREMITTING HARASSMENT of U.S. Government Gang Stalking is to have a Gang Stalker there when I leave or arrive back at my home. 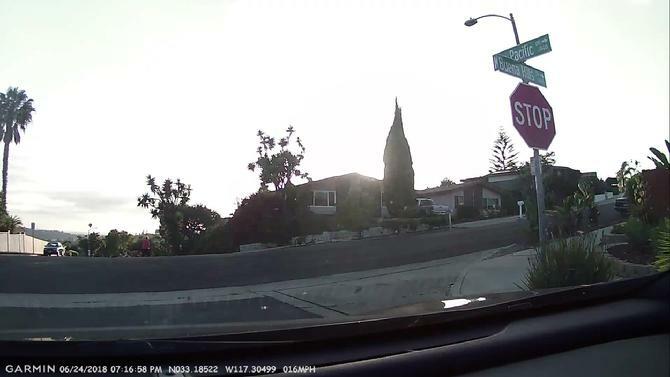 The video below shows the most frequent place I'm Gang Stalked in my neighborhood - at the corner of Mira Pacific Drive/Buena Hills as I go to get onto Buena Hills to leave my development. 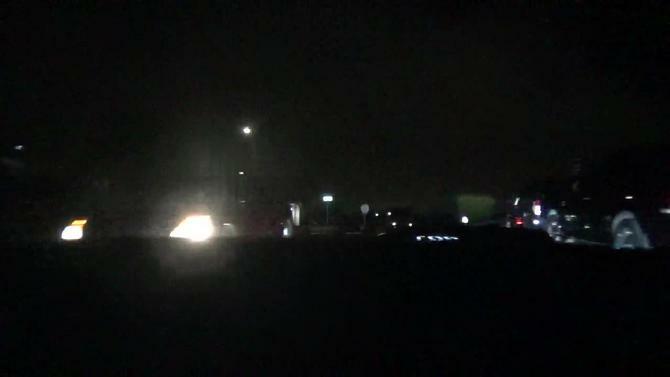 Here I am arriving home after our walk just as another car arrives on the street, too, right before 11 pm. 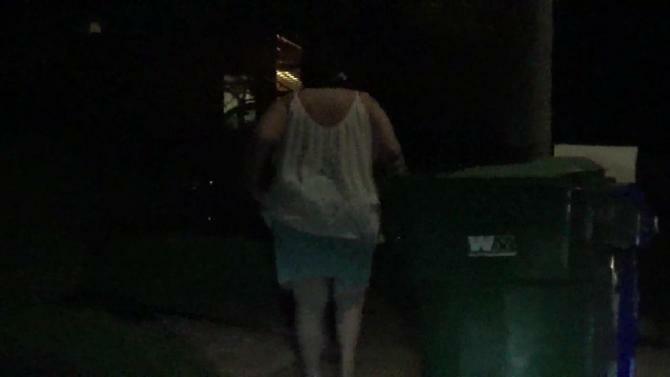 I have to move my garbage cans into my driveway because of the White Truck parked in front of my house. Here we are exiting our street in going out. 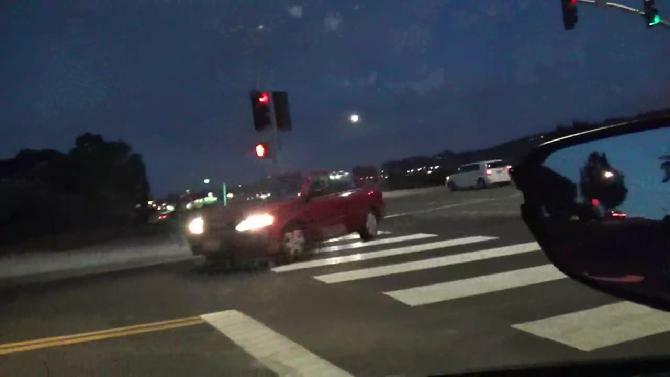 The Government Gang Stalking Pattern is: As I go to get onto Buena Hills to exit my development in going out - even when Buena Hills is empty as today - here at the corner of Mira Pacific Dr./Buena Hills there will be a car or a person. 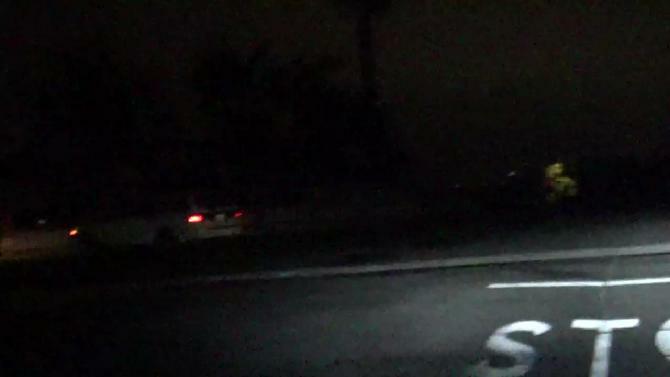 Government Gang Stalking Pattern: I go to get onto Buena Hills here at the corner of Mira Pacific Drive/Buena Hills and a car either comes around the corner/passes in front of me/or a person is here. 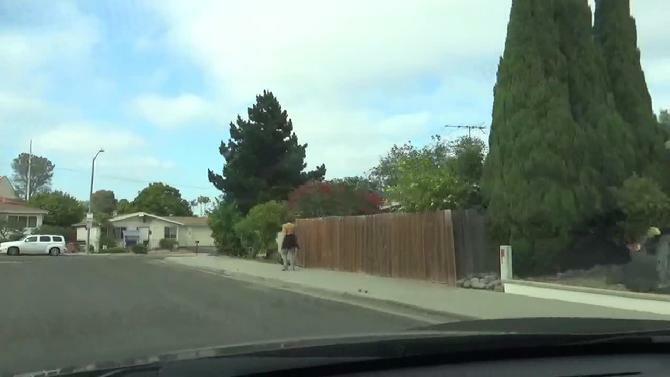 I go out to take in one of my garbage cans - and instead of one of the Cowardly Gang Stalkers of Coral Drive showing their Face - they just BEEP. I would like to emphasize I never say anyone in any of my snapshots or videos is a U.S. Government Gang Stalker. I am not a mind reader. I don't know people's intentions. I just show repetitive patterns I have seen since May 2006 to Provoke An Investigation into U.S. Government Gang Stalking.